Home > Medical malpractice > Nursing malpractice > Nurse Fatigue: What are the Costs? Evidence has mounted that the typical 12-hour work shift in hospitals jeopardizes patient and nurse safety and leads to medical errors. Hospitals in which nurses work long hours have higher rates of patients deaths from pneumonia and acute myocardial infarction, according to a study. The move from 8-hour shifts to 12-hour shifts makes is easier for nurse managers to create a schedule with only 2 daily shifts that need to be covered, not three. Many nurses find a 12-hour shift convenient as they self-schedule their shifts to work around their family and personal obligations. With 75% of nurses working 12-hour shifts, the convenience of scheduling is now exposing a series of consequences. As fatigue builds, nurse performance declines. 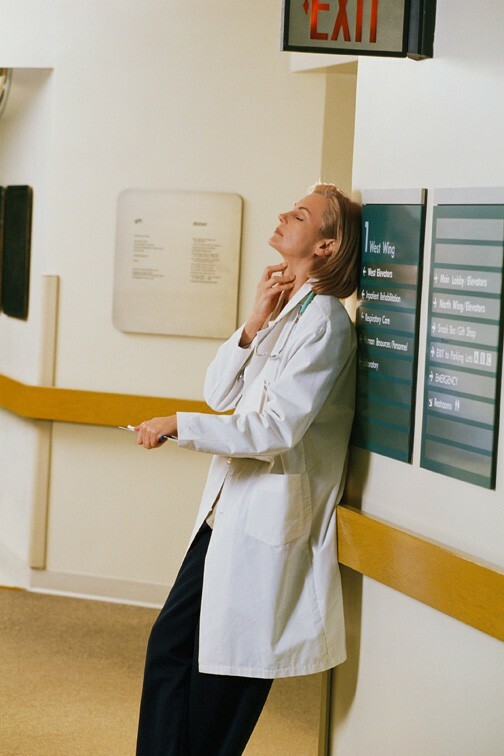 Sleepy, tired nurses are less vigilant (aware of their environment and what they are doing). They have difficulty recalling information. Information processing speeds decline. They are slower to react and have impaired decision making. Nursing’s complex environment requires attentive, alert healthcare providers. Add a commute onto the 12 hours shift, and you have the potential for the nurse to be awake for up to 18 hours. The fatigued nurse behind the wheel can jeopardize the safety of herself and others. In Minnesota, a nurse struck and killed a young woman who was pulling weeds along the highway. The nurse had fallen asleep driving home after the night shift. She had gotten 8 hours of sleep in 3 days. Needle stick injuries increase during the last 2 hours of a 12-hour shift. The nurse’s risk of exposure to viruses and bacteria. Workers compensation injuries also increase towards the end of a 12-hour shift. Why not return to the less tiring 8-hour shift? This would require a major culture change. Medical record forms are based on 12-hour shifts. Nurses are used to working these shifts and most are satisfied with them. They’ve built their lives around having 3 or more days off per week. The American Nurses Association issued a position statement on 9/10/14 urging nurses and employers in all care settings to collaborate to reduce the risks of fatigue. They outline responsibilities of both nurses and their employers and offer recommendations for reducing nurse fatigue. Some of the recommendations centers around enforcing breaks, offering nap in selected settings, limiting overtime, limiting work hours to 40 in a 7 day period, and establishing at least 10 consecutive hours per day of protected time off duty in order for nurses to obtain 7-9 hours of sleep. Facilities can take tired nurses off the road by offering transportation home or a place to sleep close to their worksite. Think of the costs associated with 12 hours shifts – medical errors, human costs, payouts to plaintiffs, attorney costs, work injuries, car accidents, staff to drive nurses home, places where they can sleep and the list goes on. We’ve created an elaborate and ultimately dysfunctional system of 12-hour shifts. And we pay the price. Med League provides highly-qualified nurse experts to analyze medical records for inconsistencies and abnormalities. Contact Us for a deep medical analysis of your case.